‘Have 230,000 sick and disabled people been wrongly knocked off-benefit and forgotten?’ That was the question posed on this blog just two days ago, based on an analysis of statistics from the ONS and CESI. Without more input from the Department for Work and Pensions it is impossible to answer the question – but two former claimants have come forward with stories that support the allegation. Mr Dix was put on contribution-based ESA totalling £97 per week – but this only lasts for a year. After that, “I was told that my wife, who is on minimum wage at Asda, earns too much for me to get income-related ESA. “We were told we could only apply for Working Tax Credits, but guess what? Because I got ESA in the tax year 2013/14 we don’t get anything until tax year 2014/15 when we will have to apply again, and we can’t have anything backdated until then! Mr Dix stated that he had been made to feel like a criminal. “My crimes? I’m disabled and got married! “The government keep on about how they’re helping working taxpayers and how they are helping married couples like my wife and I, but I really am wondering how much worse things would be if we weren’t getting David Cameron’s ‘help’! So this victim clearly deserves sickness benefit because he is unable to work, but has been denied it because of the arbitrary 365-day limit on contribution-based ESA; his low-paid wife can’t claim Working Tax Credits because of a legal loophole and so they have had to take money from a payday loan firm – the one that famously contributes to Conservative Party funds. 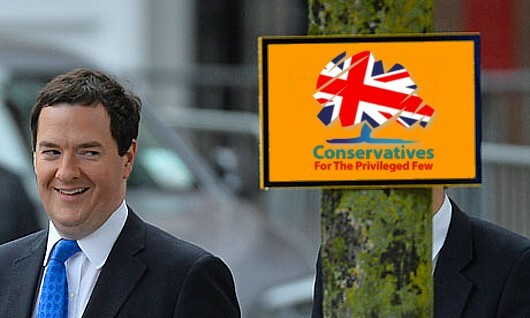 How convenient for Wonga.com and the Tories. How devastating for Mr Dix and his wife. On Facebook, a person going by the moniker Nomine Deus tells us: “I was kicked off-benefit (long term Incapacity) in 2012. “I am not eligable for Jobseekers [Allowance] or Income Support as my wife works and is paid just over the qualifying amount for one and works too many hours for the other. I live out in the sticks and would be forced to travel to sign on at my own expense and then put onto workfare etc, again at my own expense (or rather my wifes expense). I am forced, therefore, not to sign on at all. These are only two stories of people who have fallen through the holes Iain Duncan Smith has created in what used to be the safety net of social security. Who can doubt that there are many, many more? Vox Political does not get benefits! Firstly, in the light of other quoted statistics that say 21,000 (of the 78,000 initially mentioned) have been on work experience placement, while more than 10,000 more started in sector-based work academies, one must wonder where 53,000 of the people mentioned by Sir Stelios came from. Secondly, did you notice that he let the cat out of the bag (so to speak)? “Business start-ups”, is it? Didn’t we all discover, via a BBC 5 Live investigation back in February last year, that job seekers on the work programme were being encouraged to declare that they were self-employed – when they aren’t – in order to get more money in tax credits than they would on Jobseekers’ Allowance? This is just the same scam, applied to people on disability benefits like the work-related activity group of Employment and Support Allowance. Once their year on ESA runs out, they have a choice of going on Jobseekers’ Allowance (which is problematic as they cannot say they are fit for work), going without benefits altogether, or taking the self-employed cheat. Some of them might be working but it seems likely that the vast majority aren’t. Meanwhile, the government gets to fiddle the unemployment statistics to make it seem that the Work Programme is succeeding and more people have jobs. It is right that the news media should not promote this blatant false accounting. Instead (as Elizabeth Caldow states in the comment column below) they should be exposing it for the outright fabrication that it is. Vox Political will continue exposing the lies of politicians for as long as it can. But the site needs YOUR support to continue. Can the DWP do anything right? Universal Credit joins the Work Programme and the murderous administration of Employment and Support Allowance on the list of Iain Duncan Smith’s failures. The National Audit Office has published its ‘early progress’ report on Iain Duncan Smith’s flagship Universal Credit scheme – and it is damning. The report states that, after years of development in which £425 million was spent on the scheme, the Department for Work and Pensions does not even have a detailed view of how Universal Credit is supposed to work. I should just stop there and spend the rest of this article discussing that one piece of information. After months and years of listening to ‘RTU’ ranting about how Universal Credit was going to be a revolution in benefit claims, we now know that he does not know – and never bothered to work out – how his revolution was going to be delivered! Nor does Howard Shiplee, the ‘director general’ who has been talking it up on the media over the last few days. Universal Credit is an attempt to “simplify” six major areas of social security into one streamlined payment system. They are: Income Support, income-based Jobseekers Allowance, income-based Employment and Support Allowance, tax credits (child and working), housing benefit and budgeting loans. However: “Poor control and decision-making undermined confidence in the programme and contributed to a lack of progress,” the report states. This is directly attributable to the Secretary of State – it is his failure. The report – and we should remember that this is from an organisation concerned with whether the government is spending our money wisely – concluded that the DWP has not achieved value for money. The department was over-ambitious in both the timetable and scope of the programme, the report states. This is interesting in itself. How can its scope be “ambitious” if nobody even knew how it was supposed to work? According to the NAO: “The Department took risks to try to meet the short timescale and used a new project management approach which it had never before used on a programme of this size and complexity. It was unable to explain how it originally decided on its ambitious plans or evaluated their feasibility.” In other words, from its employees right up to its ministers and Secretary of State, the DWP could not justify the risks it took with taxpayers’ money and never bothered to investigate the likelihood of failure. The report singles out for particularly strong criticism the computer system intended to run the new benefit. “The Department is not yet able to assess the value of the systems it spent over £300 million to develop… Over 70 per cent of the £425 million spent to date has been on IT systems,” it states. Then it says, “The Department, however, has already written off £34 million of its new IT systems and does not yet know if they will support national roll-out.” So the systems are not – to use a favourite DWP phrase – “fit for work”. In fact, some parts don’t work on any level at all: “For instance, the current IT system lacks a component to identify potentially fraudulent claims so that the Department has to rely on multiple manual checks on claims and payments.” Meaning: In the single Job Centre where UC has been introduced, employees have been working out claims on paper. “Such checks will not be feasible or adequate once the system is running nationally.” It seems amazing, but Iain Duncan Smith probably needed to see that, written down in black and white, or he might never have considered the possibility. Problems with the IT system have delayed the national roll-out of the programme (and for that, considering all of the above, we should all breathe a long-drawn-out sigh of relief). 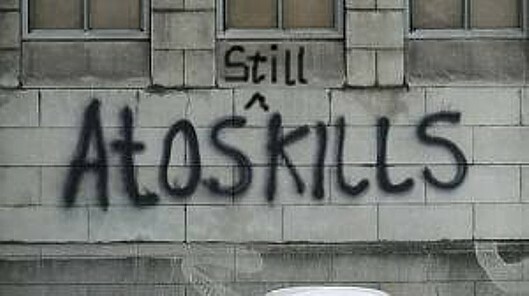 “In early 2013, the Department was forced to stop work on its plans for national roll-out and reassess its options for the future… The Department will not introduce Universal Credit for all new claims nationally in October 2013 as planned, and is now reconsidering its plans for full roll-out. The DWP intends to spend £2.4 billion on Universal Credit up to April 2023. To put that in perspective, that’s twice as much as the government loses on all benefit fraud – not just those being bundled together here – every year. And this will “increase risks”. The spending watchdog found that the DWP took some action at the end of 2012 to resolve problems, but was unable to address the underlying issues effectively. “The programme suffered from weak management, ineffective control and poor governance,” said Amyas Morse, head of the National Audit Office. Despite all this, the report incredibly states that “the programme still has potential to create significant benefits for society, but the Department must scale back its delivery ambition and set out realistic plans”. Liam Byrne will no doubt seize this as an opportunity, yet again, to offer Labour’s help to find a way forward and bring Universal Credit back on track. He should be discouraged from doing so. This ‘flagship’ hasn’t so much sailed as sunk. 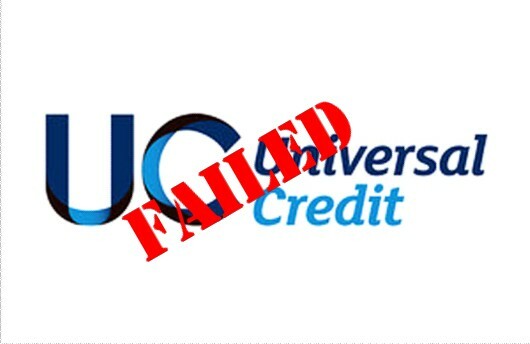 Universal Credit is a FAILURE. It should be SCRAPPED – before that idiot Smith wastes any more of our money on it. Will the government’s benefit raid turn us all into April Fools? Why is the cumulative effect of the government’s raid on benefits and other public services continuing to be ignored by the public at large? Are people deliberately sticking their heads in the sand, perhaps in the hope that, if they avoid it long enough, it’ll go away? Here’s an analysis of what’s happening, compiled by Vox Political for a local Mid Wales organisation. It makes sobering reading. One per cent rise in each of the next three years, from April 2013. Frozen until April 2014. Will rise by one per cent in each of the following two years. One per cent rise in each of the next three years. Rise by one per cent for the next three years, from April 2013. Basic and 30-hour elements – uprating will not apply until 2014. The one per cent cap in those benefits that are affected will take £3.7 million out of the UK economy over the next three years. A limit will be put on the total amount of benefit that most people aged 16 to 64 can get. This is called a ‘benefit cap’. Local councils will be introducing this between 15 April and 30 September 2013. This affects: Carer’s Allowance, Child Benefit, Child Tax Credit, Employment and Support Allowance (barring support group), Housing Benefit, Incapacity Benefit, Income Support, Jobseekers’ Allowance, Maternity Allowance, Severe Disablement Allowance, Widowed Parent’s Allowance (also Widowed Mother’s Allowance or Widows Pension if receipt began before April 9, 2001), Bereavement Allowance, Guardian’s Allowance. The expected level is £500 per week for couples and lone parents – equivalent to £26,000 per year (net); and £350 per week for single adults. Across the UK, 56,000 households will be affected by the benefits cap, including 1,680 in Wales. Job Centres have already notified those who will be affected; they do not include “a vast amount” in Powys. Legal aid in civil cases is cut by £350 million, meaning people who need qualified advice on social welfare debt, benefits, employment, family problems, clinical negligence, divorce and housing problems will not get it. Those people may have to pursue the cases on their own behalf, clogging up the civil justice system, perhaps for years to come. More than 500,000 people in need of advice will be denied the help and justice they need. The Government has closed this to new applications, and plans to permanently close the scheme from 2015. the ILF provides money to help disabled people live an independent life in the community rather than in residential care. Disabled people could be forced out of independent living arrangements and into residential care, or trapped at home by the fund’s closure. This will take £320 million out of the national economy. On April 8, 2013, the Personal Independence Payment replaces Disability Living Allowance. PIP will maintain links to passported benefits where possible, and there are special rules for claimants who are terminally ill. The differences are that claimants must have still have their problem nine months after they apply; and there will be planned interventions and an early reconsideration process. 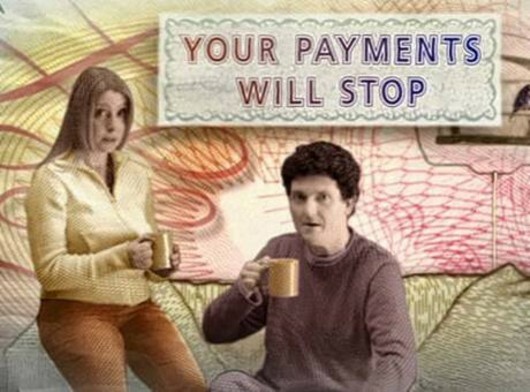 It is being rolled out gradually and will not affect new claimants in Wales until June. From October, claimants on fixed period awards that are coming up for renewal will be reassessed, along with young people coming up to age 16, and indefinite awards with a change of circumstances. Nobody else will be reassessed until October 2015. There is no PIP claim form available from the usual sources. Claims are to be made by telephone on an 0800 number, when claimants will be asked general questions – including their bank details. Then a form will be posted to the claimant. It will be individually-addressed and bar-coded with the claimant’s details. This ‘Digital By Default’ idea creates problems, especially in rural areas. Access to broadband internet is still an issue in places, and capability to use the internet is just as much an issue. People who might have access to broadband may still need help going through the claiming process. For those with fluctuating conditions, the form will provide an opportunity to explain them. Claimants can have help completing the form, and reports from health professionals such as occupational therapists and doctors may be added to it. The form will go to a health professional working for the company Capita (in Wales; other parts of the UK have Atos). They may decide a claimant’s entitlement straight away, but most will be asked to attend a face-to-face interview. It is possible that this company may carry out home visits if the need presents itself. Attendance with a friend, relative, partner, health professional or similar is encouraged. All evidence will be reviewed and a report will be sent to the Department for Work and Pensions to make a decision. The health professional will not make any recommendations at all – a DWP case manager will review the evidence and make a decision. If a claim is disallowed or reduced, they will phone on three separate dates, at three separate times, to explain the decision. There are concerns that claimants with particular issues such as mental health problems might not understand. If people are receiving low-rate care component Disability Living Allowance, we believe it is unlikely that they will get Personal Independence Payment. People who are working but on low pay, who must therefore claim housing benefit in order to keep a roof over their heads. This means it applies to 93 per cent of people who have claimed housing benefit since the Coalition government came to power. Separated parents who share the care of their children and who may have been allocated an extra bedroom to reflect this. Benefit rules mean that there must be a designated ‘main carer’ for children (who receives the extra benefit). This is likely to cause friction within these former-family groups. Couples who use their ‘spare’ bedroom when recovering from an illness or operation. Parents whose children visit but are not part of the household – but households where there is a room kept for a student studying away from home will not be deemed to be under-occupying if the student is away for less than 52 weeks (under housing benefit) or six months (under Universal Credit). Students are exempt from non-dependant deductions, but full-time students will not be exempt from the Housing Cost Contribution (HCC) which replaces non-dependent deductions under Universal Credit. Students over 21 will face a contribution in the region of £15 per week. Are you confused yet? Disabled people, including those living in adapted or specially designed properties (this could mean these people will be required to leave that home for another one, with the added expense of having to re-install all the special adaptations). The government has withdrawn, under pressure, the application to Foster carers. The original rationale was that foster children were not counted as part of the household for benefit purposes. It has also withdrawn the application to families of young people serving away from home in the armed forces. Pensioners will not be affected. The government has clarified that couples in which one member is of pensionable age will both be exempt from the Bedroom Tax. But couples of mixed age claiming for the first time under Universal Credit (after it is introduced – possibly in October this year – will have to wait until both are of pensionable age before being exempted from the charge). Disabled children are not exempt, even though David Cameron wrongly claimed they were. If you’re on a low income, aged over 40 with children who have left home, or disabled, you could be not only slightly but severely and unfairly affected. It seems likely you will have to choose to either pay the extra amount, or move. Surveys say around a third of tenants will try to move, mainly to one-bedroom properties. This is far more than the government has anticipated in its planning. There is a national shortage of one bedroom council and housing association homes, meaning many tenants will have no choice but to move into the more expensive private sector or stay put – even though they will not be able to afford the extra costs. The evidence shows that, whether you move or stay put, landlords will lose income which evictions and homelessness will increase. A trial of the benefit changes in Torfaen saw rent arrears rise SEVEN-fold to £140,000 over seven months. This was a trial of Universal Credit, of which Housing Benefit will be a part. From this we can conclude that Universal Credit will create more problems, possibly much worse than what we are facing now. I am glad to report that the plan to withdraw Housing Benefit from claimants aged under 25 has been withdrawn. But anyone under 35 will be entitled to only the shared accommodation rate of housing benefit. There will be an impact on family relationships – people will be forced to move into properties together. Young people under 35 who can’t live independently because the shared accommodation route won’t let them do that. People are being forced into ‘pressure-cooker’ situations. People will have to move their home because of the bedroom tax. That will have an impact – not just on individuals, but on education if a child has to move away from a school where they have friends, to a new area. The government claims the bedroom tax will save £480 million, affecting £660,000 homes who will have to pay at least £700 per year each. But this is only if families refuse to – or are unable to – move to what the government calls suitable accommodation. There is no chance of this happening because the government has not allowed such accommodation to be built; therefore we may see it as a trap, from which to plunder millions from the poor. There will be a rise in rent and mortgage arrears. There will be generally less income – less money available. That’s also for people owning local businesses as benefit income is spent locally and High Street shops will receive less. There is a huge risk that more and more people will access ‘lenders without conscience’. Responsible lenders, such as credit unions, are fantastic places to put money, but the services provided are different, depending on the union. They will see more and more people coming to them. That will impact on their business model and the risks will be greater. An increased demand for advice – for example from the Citizens Advice Bureau – is already happening. The figures will ramp up significantly over the next 12 months and beyond. Funding is decreasing. There will be a big impact on social landlords and the housing market – the availability of affordable housing and landlords’ ability and willingness to rent to tenants on benefits. Pressure on the appeal system means people waiting longer for the outcome of appeals. There will be pressure on public sector resources – local authorities will bear the brunt of this, at a time when they have received difficult financial settlements. The fund for Discretionary Housing Payments is increasing, though – but not by enough. These payments may help people top-up to pay accommodation costs. Given the effects of the reforms, people will also be looking for these payments and in those circumstances, the budget won’t touch the sides of what’s needed. And the cumulative impact on child poverty will be huge, with an extra 200,000 children falling below the poverty line. We’re all about the money: David Cameron is in the Middle East, hawking our jet fighters to foreign powers. On the left hand, we have the Labour Party, campaigning strongly for the so-called “living wage” – an earnings level for British workers that will provide enough for them to look after their families, heat their homes, feed their kids, care for their elderly relatives and plan for the future (as Ed Miliband was set to say at a speech today). On the right hand, we have Conservative leader (and comedy Prime Minister) David Cameron, off on a junket to the Middle East in a bid to sell Typhoon fighter jets to Arab nations. Conservatives have been selling weapons to foreign countries for decades. We know that 16 British firms were listed as having supplied arms to Iraq (the information is in a 12,000-page dossier the Iraqis kindly supplied to the UN in 2003). It has been alleged that one of the arms dealers involved in those sales was Mark Thatcher, son of the former Conservative Prime Minister. It’s a certainty that these companies were making their sales while the Conservatives were in power during the 1980s and 1990s, and probably benefited from Conservative government trade missions. Perceptive readers will, at this point, assert that Labour governments have also sold to foreign powers, and this is true. I have been able to find evidence of sales to India and to Israel during Tony Blair’s controversial premiership. It’s a very murky subject and nobody in British politics can say their hands are clean. The best I can suggest is that Labour didn’t sell arms to anyone who was likely to use them on British citizens. The Conservatives were indiscriminate (and we know – or at least have good reason to believe – that arms sold to Iraq were indeed used against British soldiers). – but it is telling that he has made damn sure there will be minimal media coverage of this trip. Downing Street has spent two years trying to restrict media access to the PM’s overseas visits, making him the only G7 leader who is not accompanied abroad by a full press corps. The preferred total is just one broadcaster (presumably, one who has been specially selected by Downing Street and who is, therefore “one of us”). The deals Cameron hopes to make are said to be worth more than £6 billion to the UK. However, considering this government’s miserable record in tackling tax evasion and avoidance, one wonders how much of that will make it into the Treasury. Contrast this secrecy with the full-on publicity campaign for the living wage, under way courtesy of Ed Miliband and the Labour Party, here in Blighty. The living wage is £7.45 per hour (outside London; £8.30 within the capital) – only a little more than £1 above the minimum wage, but it could make a big difference to workers across the country. For every £1 spent in the private sector on getting workers up to the living wage, around 50 pence of that would come back to the government in savings on tax credits and benefits, and in higher tax revenue. In other words, it would help pay off the national deficit and debt. “The living wage isn’t an idea that came from politicians,” says Mr Miliband in his speech today. “Or from academics in thinktanks. “It came from working people themselves. People who recognised that they were giving their all for organisations that could afford to pay just a little bit more to give dignity to them, but who weren’t doing so. People who recognised that their firms might be more likely to succeed if they did. “Our economy is not working for working people but just for a few at the top – a few taking ever-more of a share of the national cake, while other people struggle more and more to make ends meet. Mr Cameron’s arms junket is living proof of the truth of those words. Postscript: In his speech, Mr Miliband lists Labour councils that have introduced the living wage. I’m happy to add that Powys County Council, although independently-run, has pledged to research the possibility of introducing the living wage at the earliest opportunity.